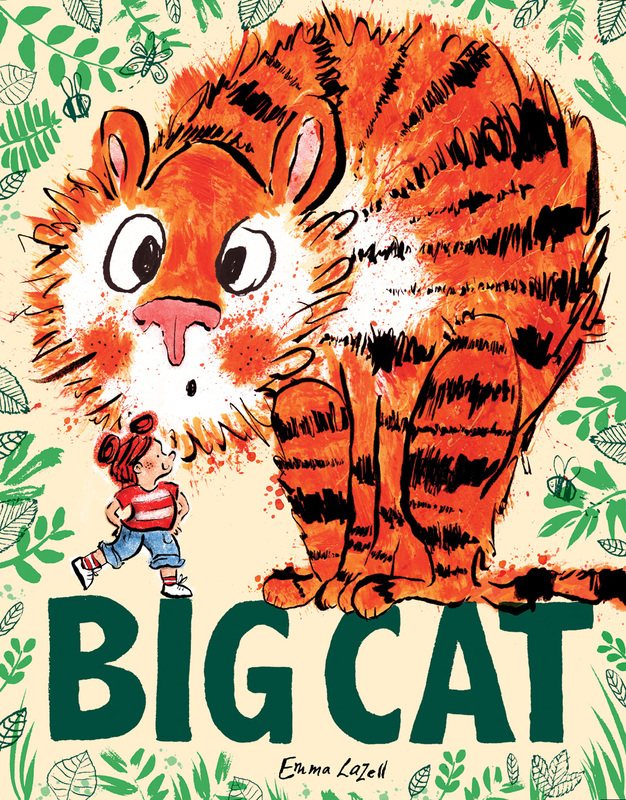 The brilliant debut from a rising star of the picture book world, tipped as ‘one to watch’ by The Bookseller magazine. Isobel’s grandma has lost her glasses and she can’t see a thing without them. While Isobel and Gran are in the garden searching for the specs, they come across a cat. A very big cat. A very big and friendly cat. The big cat moves in with them, much to the disgust of all gran’s other cats. He might be good fun, but he takes up lots of space and eats every scrap of food. Eventually the new cat’s mum and dad turn up, looking for their missing son. And they just happen to have found gran’s glasses too. The tiger family are delighted to be reunited – and gran now sees that she’s been sharing her house with… a tiger! A heartwarming and surreal romp, packed with jokes and funny details and with an underlying message of acceptance. Emma’s bright colours and brilliant characterisation gives the book the look of a classic from the 1970s or earlier, but with a very modern sense of humour and sensibility. Emma Lazell is a UK based illustrator and author. Her work is linear, expressive, and sprinkled with irony and playfulness. In 2018 she completed the hugely prestigious MA in Children’s Book Illustration at Cambridge School of Art, Anglia Ruskin University, graduating with a distinction. In 2014 she graduated with an undergraduate degree in Illustration from The University for the Creative Arts.